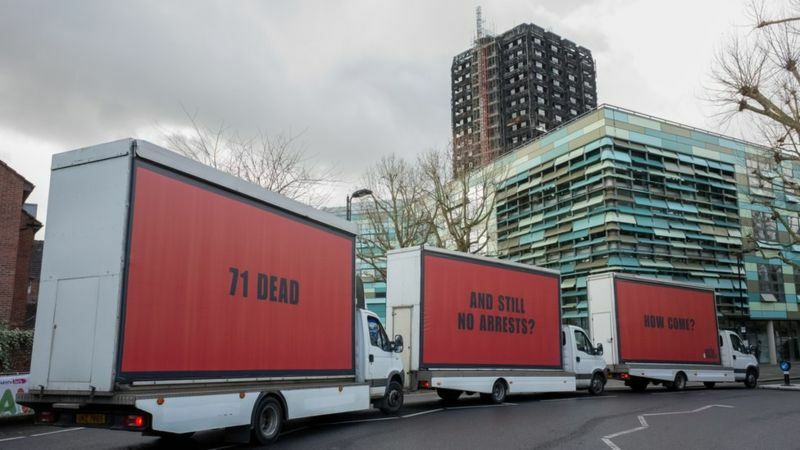 Three large truck-side billboards, demanding justice for the victims of the terrible Grenfell Tower fire back in June 2017, were spotted making their way around the capital yesterday. The convoy has been photographed passing sites such as the Houses of Parliament, London Bridge and St Paul’s Cathedral. The Metropolitan police have reported that the investigation is still ongoing but no arrests have been made to date. 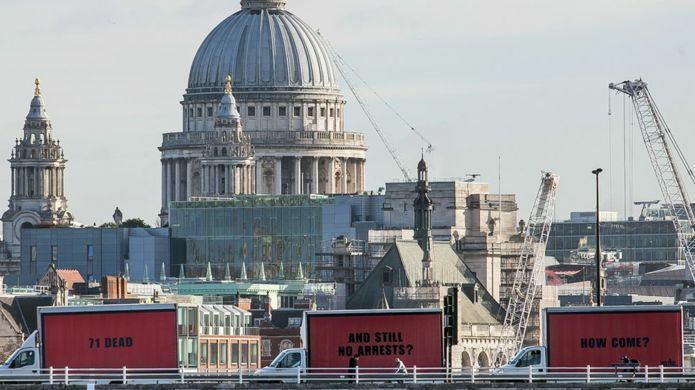 With the eight month anniversary of the tragedy occurring last Wednesday and the Oscars just 3 weeks away the cultural re-purposing of the “Three Billboards” could not have come at a more poignant or relevant time.